URI - The Surgical Strike 2nd Friday (8th Day) Box Office Collection, Simply Unprecedented! 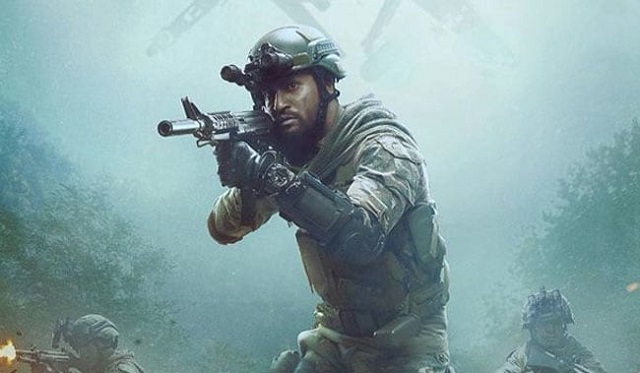 URI - The Surgical Strike is simply on an unprecedented run at box office despite entering second week. Film has not only showed hold on 2nd Friday but also registered growth from 1st Thursday. This is absolute rarity. Drop from 1st Friday is also absolute minimal. At places business on 2nd Friday is better than 1st Friday. URI has collected an approx 7.6 crore nett on day 8. This is bigger than many big releases in the past. Film may have an extra-ordinary second week now. There is no doubt that URI will emerge as a Blockbuster. In fact film has a big chance of touching or even crossing 150 crore mark in India. Who would have predicted from a film which is made on a moderate budget of just 40 crore or so. URI total collection after 8 days is approx 78.5 crore nett. Film is all set to enter 100 crore club by the end of second weekend itself. Outstanding. Movie for all true Indians..
200+ crore lifetime is possible.. Awesome movie. Vfx are bery good. Feel like black hawk dawn and call of duty. Helicopter scene are on par with hollywood in just 40 cr budget.